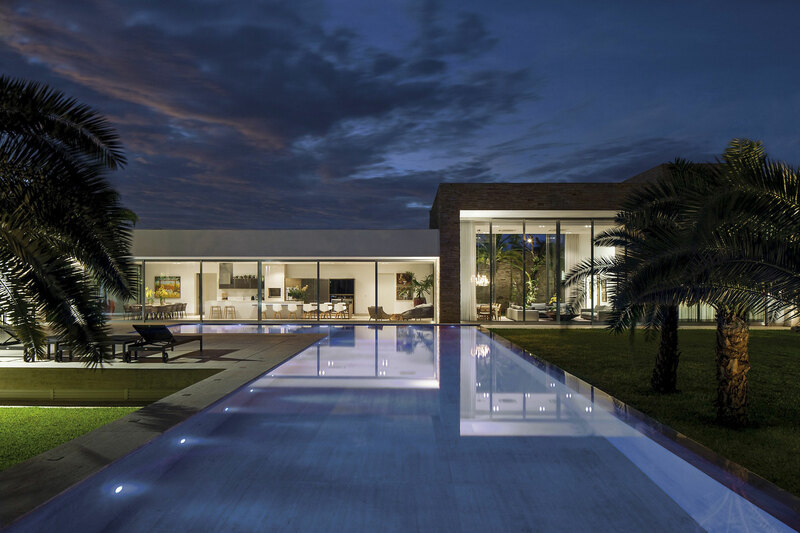 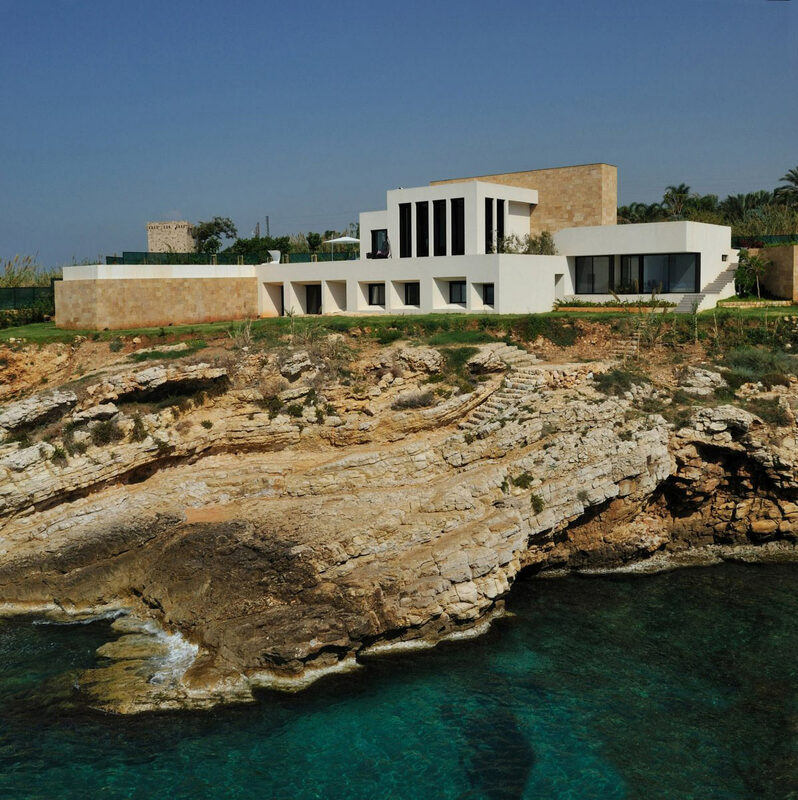 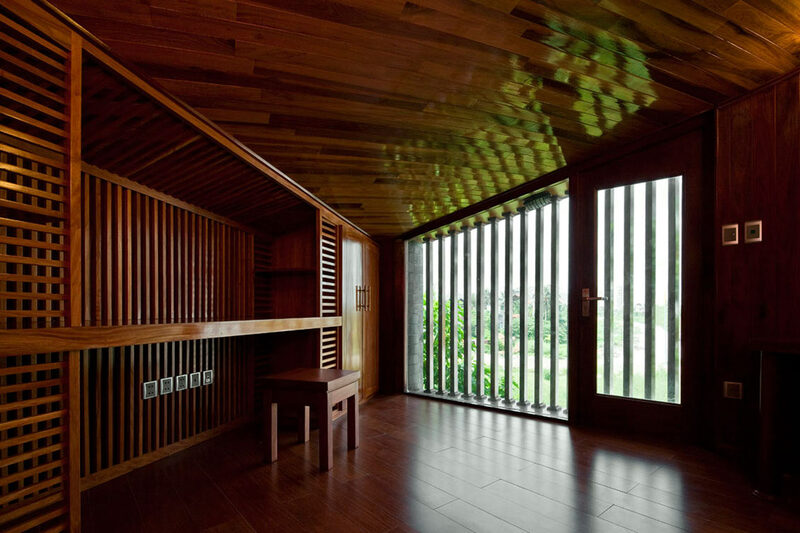 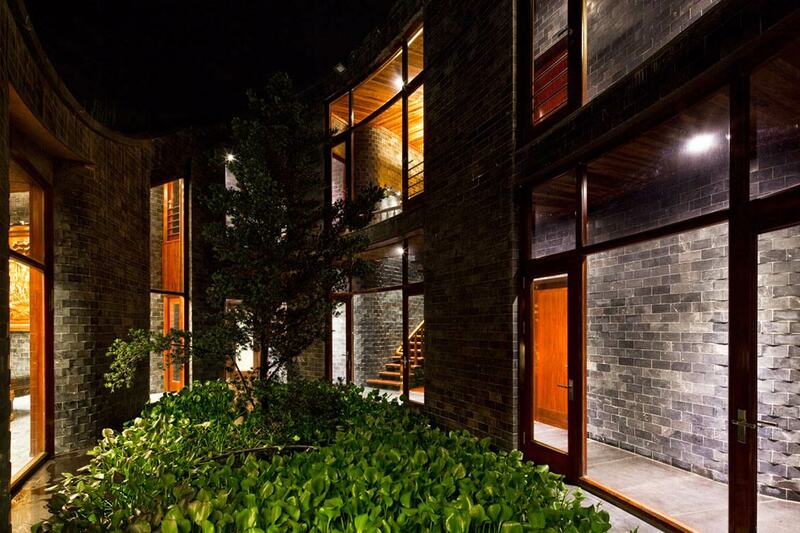 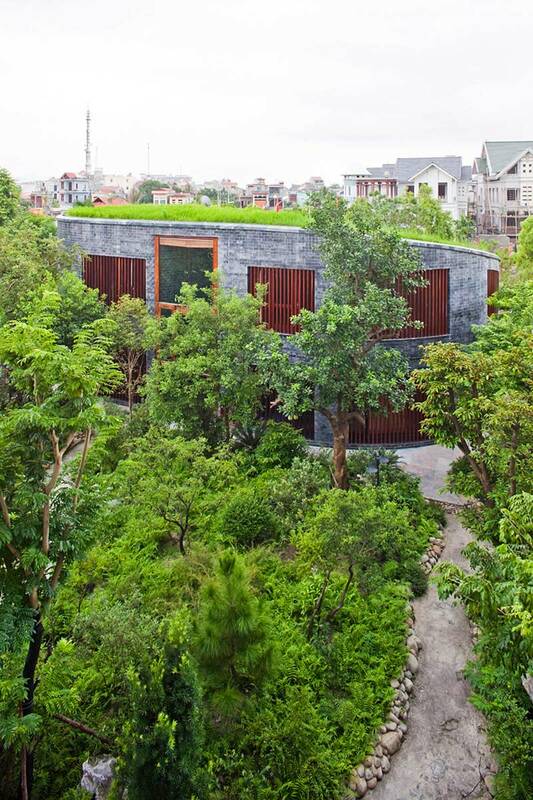 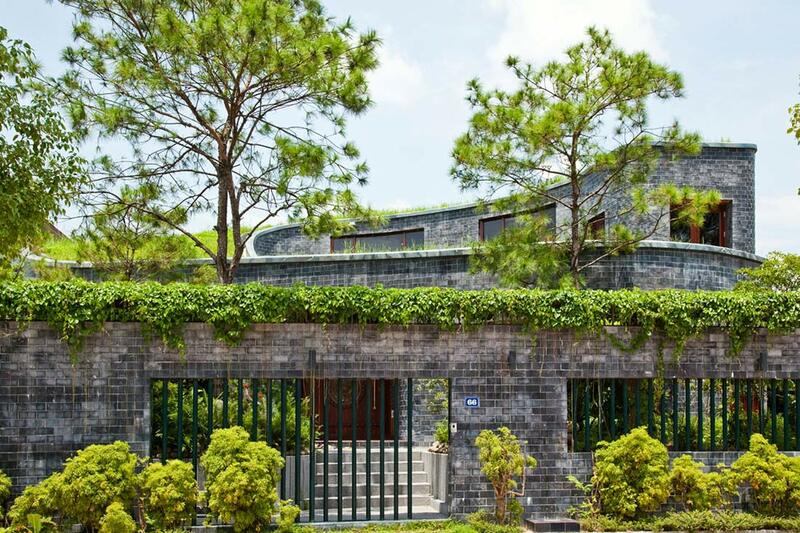 The Stone House was completed by the Vietnamese studio Vo Trong Nghia. 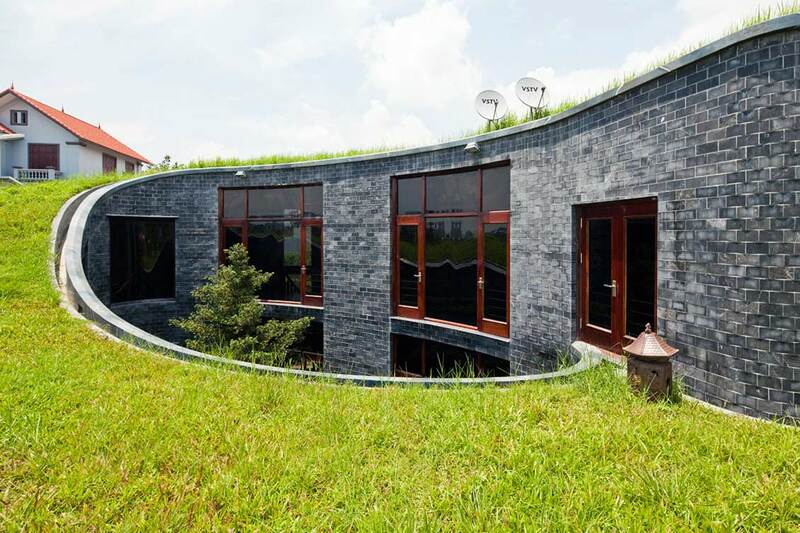 This torus-shaped stone house is located in a quiet residential quarter beside the way to Ha Long Bay from Hanoi in Dong Trieu, Quang Ninh Province, Vietnam. 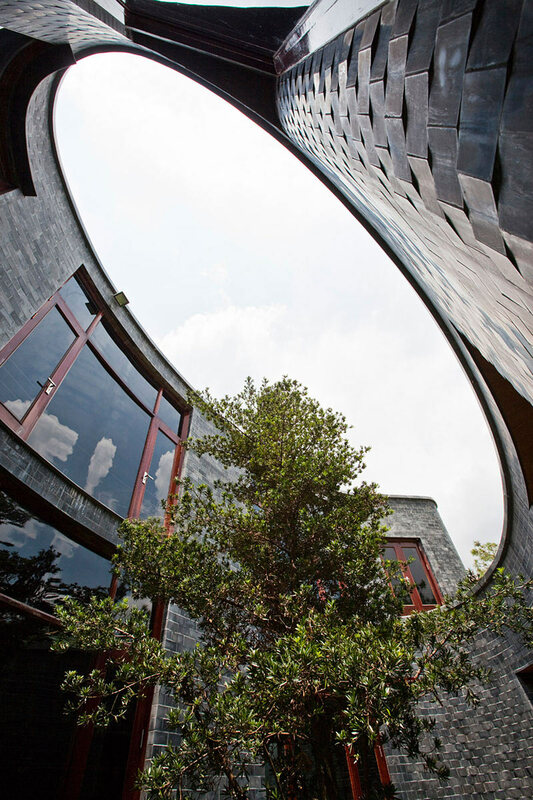 “This torus-shaped stone house is located in a quiet residential quarter beside the way to Ha Long Bay from Hanoi. 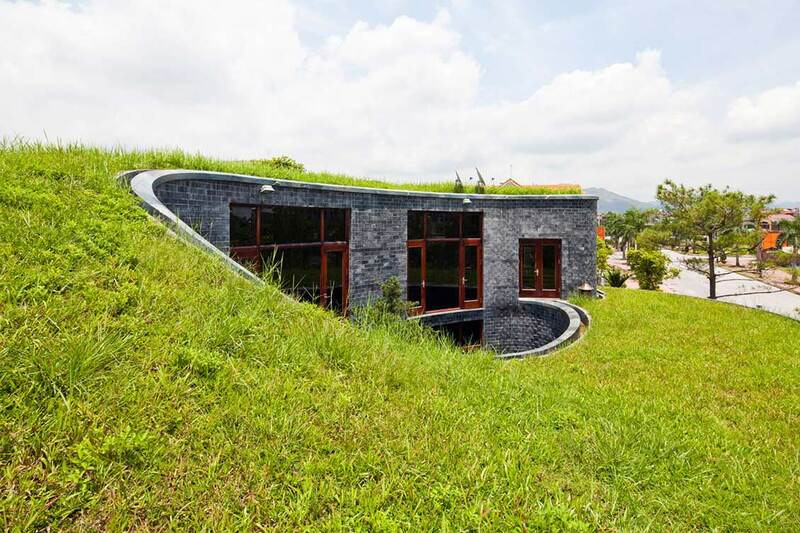 A rising green roof and walls composed of subdued color stones in dark blue create a landscape, which stands out in the new residential area. 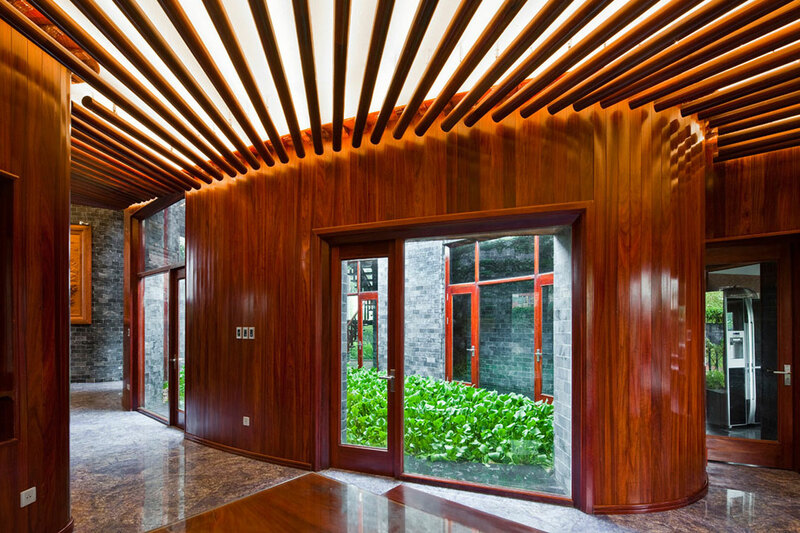 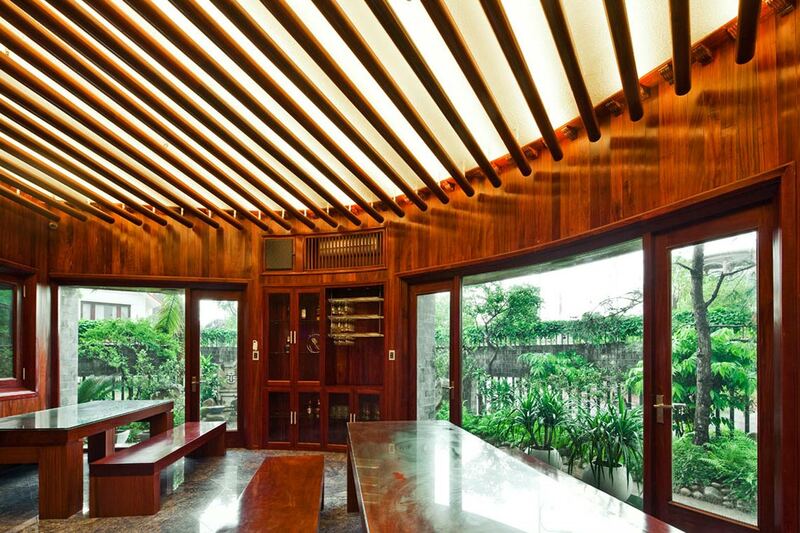 The rooms surround the oval courtyard, making a colony-like relationship with each other. 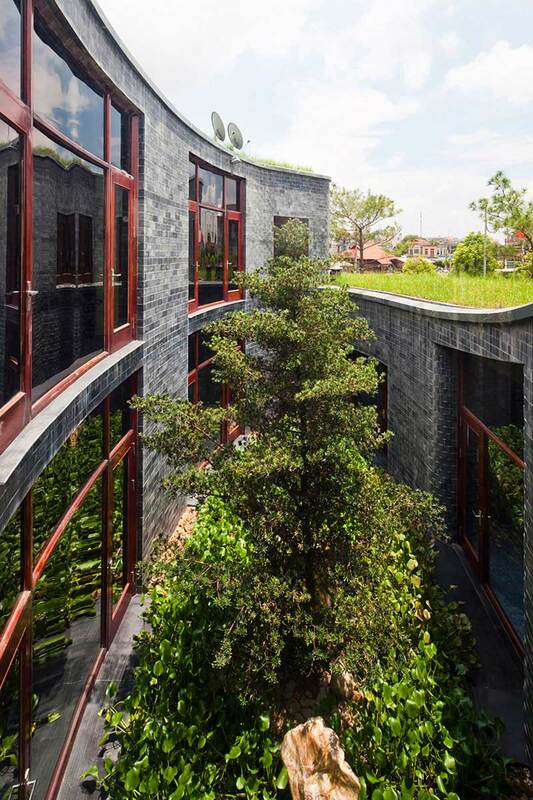 Circulating flow runs around the courtyard and continues to the green roof, connecting all places in the house. 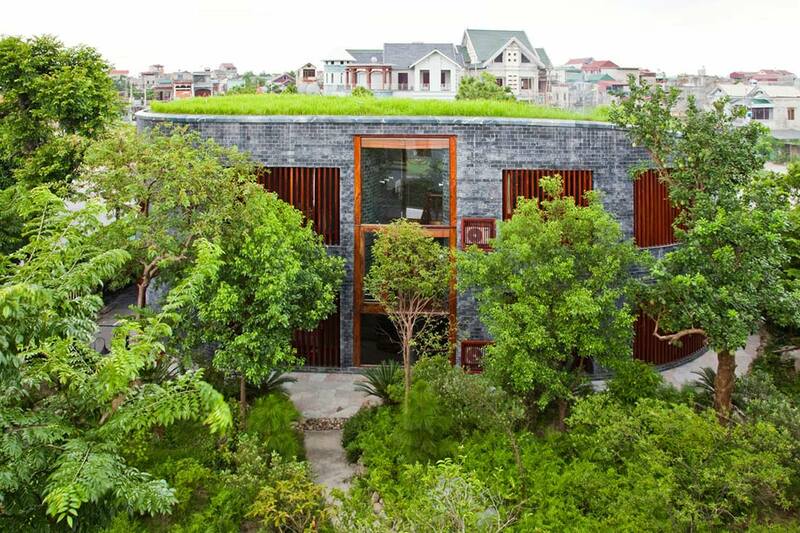 This courtyard and green roof compose a sequential garden, which creates a rich relationship between inside and outside of the house. 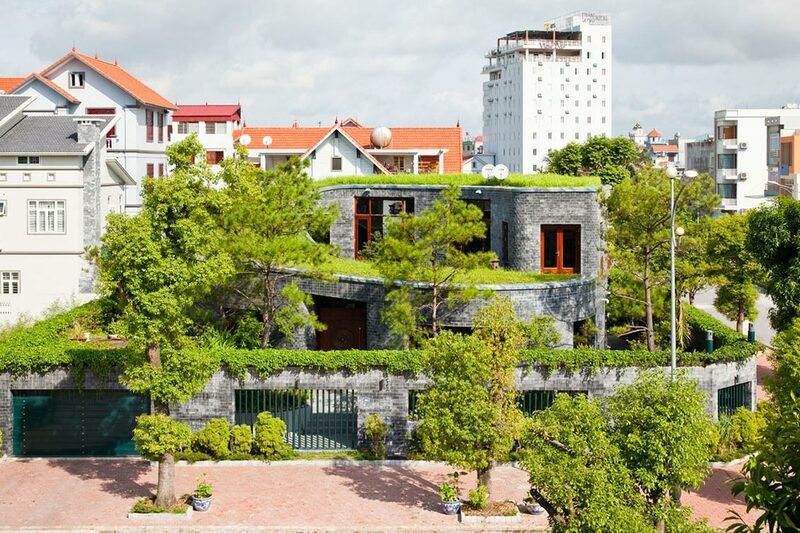 Residents discover the changes of the seasons and realize their wealthy life with the nature, thanks to this sequential garden. 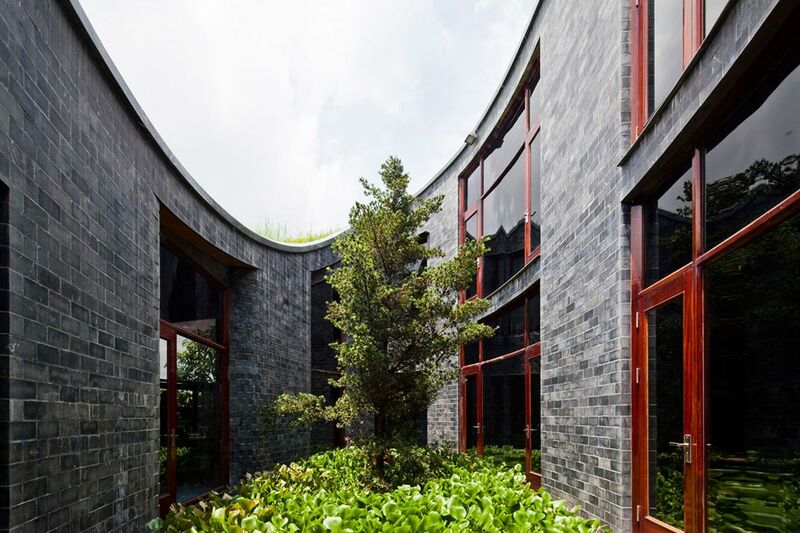 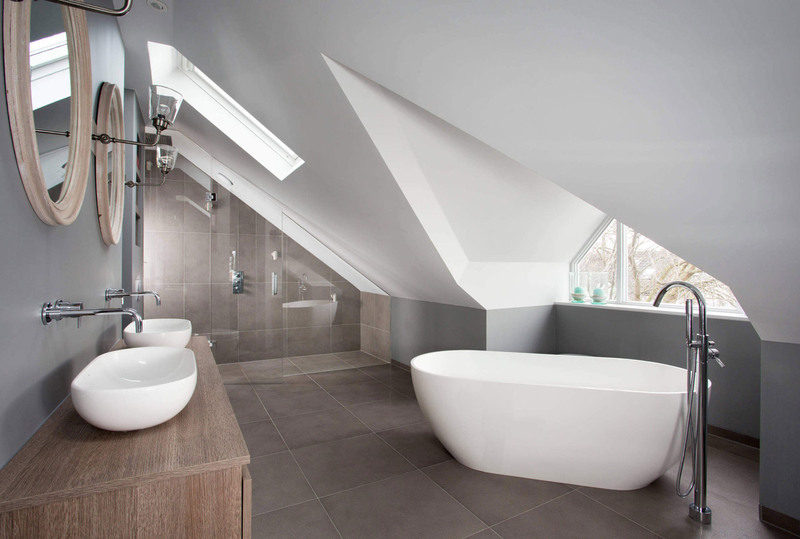 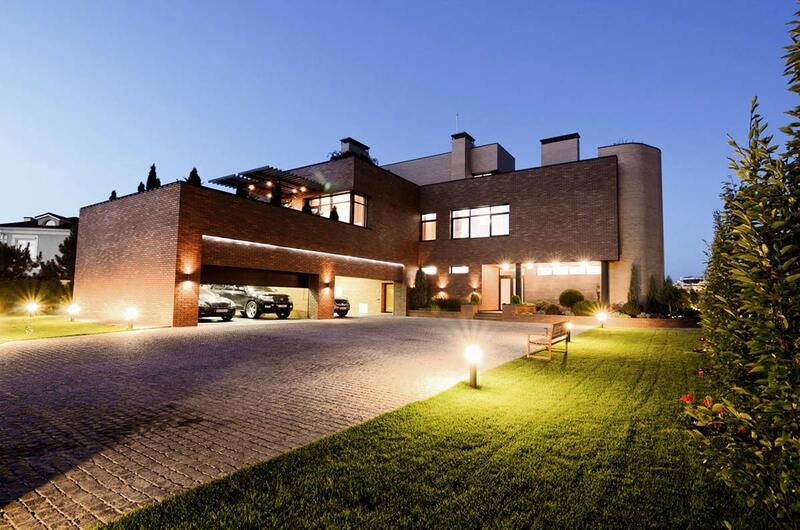 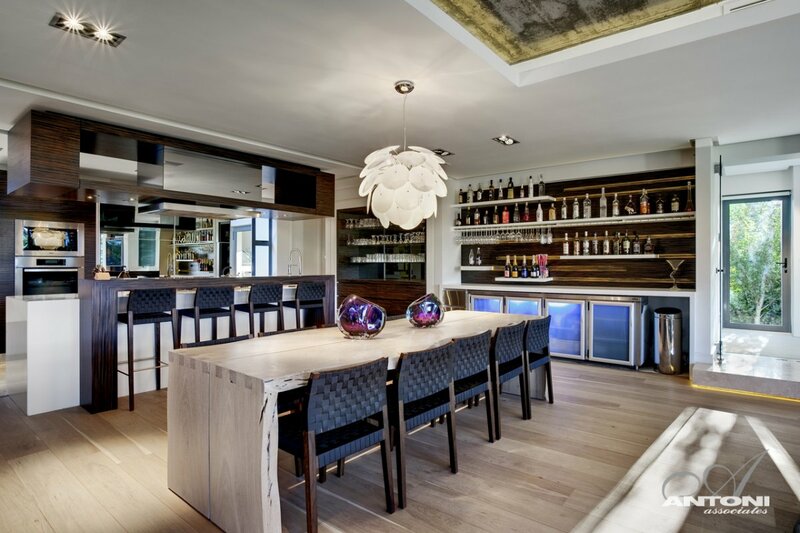 To create a wall with smooth curvature, cubic stones with 10cm thickness are carefully stacked. 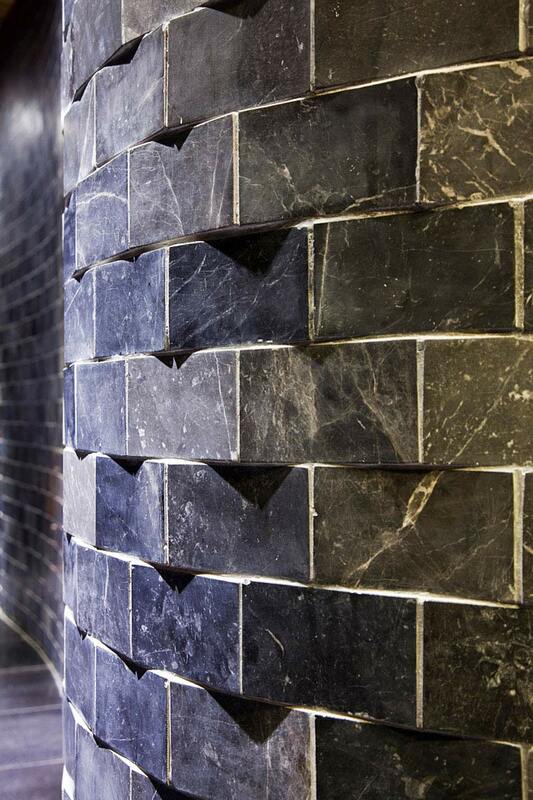 Consequently, the wall performs the play of light and shadow. 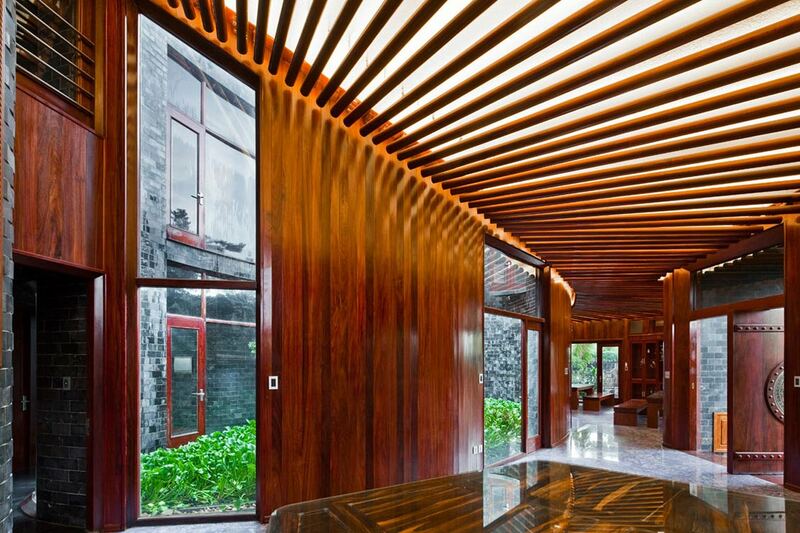 Massive and meticulous texture of the wall generates a cave-like space, which recalls the image of a primitive house.